Where are My Product Updates? 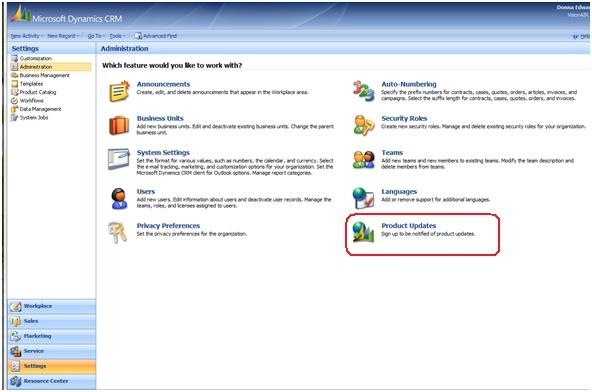 Having trouble keeping up with the latest CRM Dynamics product updates. If so, would you like to have product update notifications sent directly to your E-mail account and would you like to have a really easy way to subscribe to that service? Well, if that sounds good to you then check out the Product Update option in Dynamics CRM. When you select the Product Updates link, a wizard will open that will guide you through the sign-up process with just a few clicks. It only takes a minute or two to complete so get started now and never miss another Product Update notification.